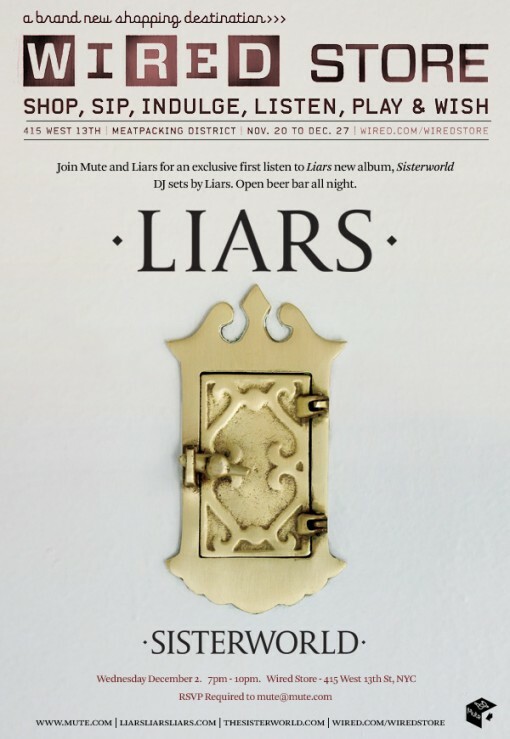 Get an advance preview of the new Liars record, Sisterworld, tomorrow (Dec 2) at the Wired Store NYC. Open bar all night with DJ Sets by Liars, RSVP to mute@mute.com to secure your spot. Sisterworld is due out on Mute Records on March 9, 2010.